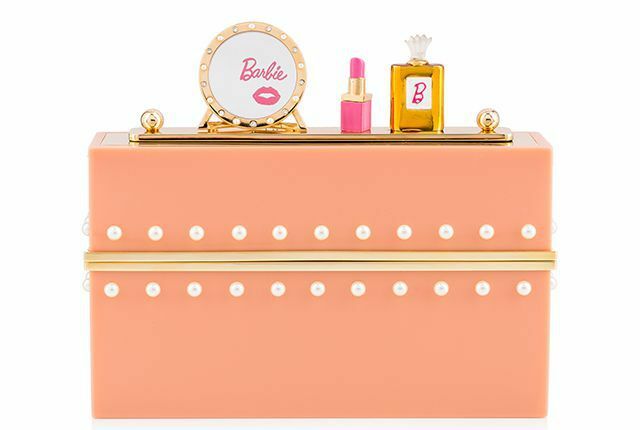 British-born designer Charlotte Olympia Dellal has teamed up with American toy brand, Barbie, to create an exclusive capsule collection for her eponymous coveted label, Charlotte Olympia. Known for its creative and quirky aesthetic, the brand injects its own twist to the iconic Barbie doll with a two-piece leopard-printed outfit, Dolly platform pumps and the classic Bogart leather bag with matching gloves. The capsule collection also consists of a range of Barbie-inspired shoes including block Perspex heels, kitty flats and stilettos, followed by two luxury clutch bags adorned in blush Perspex and delicate pink leather. The collection comes complete with a glamorous collector's box filled with the iconic Kitty flats, Eve platform sandals, the transparent Pandora clutch box, the Banana bag, the Web logo fascinator, gold spider web earrings, ivory cat-eye sunglasses and a Charlotte Olympia shoebox complete with dust bag. When speaking about the collaboration, Charlotte Olympia Dellal says, "This was a childhood dream come true to collaborate with Barbie! It was a fantastic opportunity to be able to design and create a Charlotte Olympia aesthetic for one of the most iconic figures in the world." 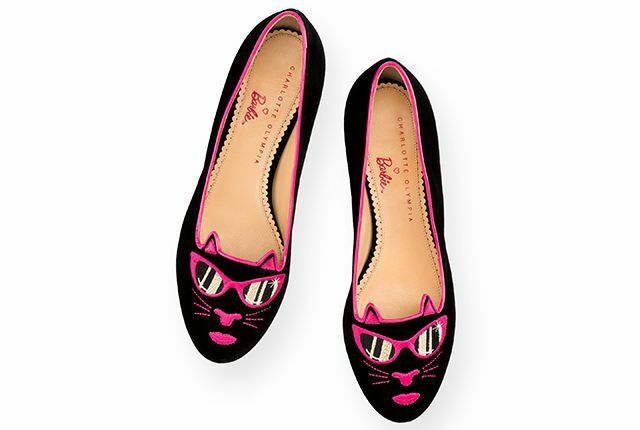 The Charlotte Olympia x Barbie capsule collection is now available at Mall of the Emirates. In the meantime, read more about Charlotte Olympia's collaboration with MAC Cosmetics.